Deacon signed for his hometown team in Argyle's second season of League football, having previously represented Devon County. 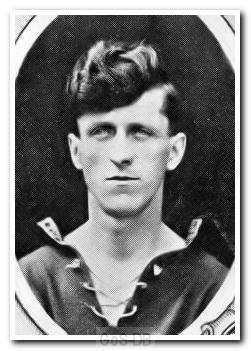 A seven-year spell at Home Park followed, but the half-back found it hard to break into the team, making just five appearances and scoring once, in a home draw against Brighton & Hove Albion in March 1923. Records show that Argyle was Deacon's only League club, although he did go on to play further matches for Devon County on leaving Home Park.